The Alabama Alcoholic Beverage Control Board has approved Rserving as a Responsible Vendor Program (RVP) training provider. If you are an individual, you will need to get certified through your establishment. For bar managers/owners, to get your license(s) certified in the Responsible Vendor Program, you will have to initially train all your employees, then submit your paperwork. After your license(s) is certified in the RVP, new employees must be trained within 30 days. Signing up a company for Rserving's RVP is a simple process. Just call us and pay the $95 set-up fee. For this set-up fee, Rserving will help you with your initial paperwork, help you customize the course with your establishment policies and you can begin training your employees online for only $9.98 per employee. After all your employees are trained, Rserving will also assist you in submitting the required documentation to the Alabama ABC Board and send your policy sign posters in the mail. 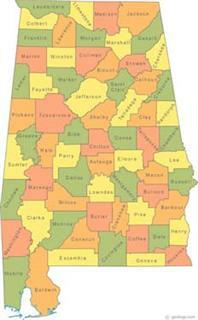 What is the minimum age to sell/serve alcohol in Alabama? The agency that handles Alabama liquor licensing rules and regulations in Alabama is The Alabama Alcohol Beverage Control. AL Happy Hour Laws: Alabama Happy Hour Laws reference the prohibited practices that result in excessive consumption of alcoholic beverages by consumers You may NOT: serve or sell two or more drinks at a price less than the number of containers actually sold - "two for the price of one." Establish a single retail price based upon the required purchase of two or more drinks. Sell or otherwise furnish drinks before 10:00 AM or after 9:00 PM at a reduced price. Sell or provide one person or a group of people on any day drinks for free or at reduced prices than those charged for the general public for that day. Conduct or sponsor contests which are determined by the amount of alcohol that is given as a price. Offer gifts to promote the sale of alcoholic beverages. Store liquor in any container other than that provided by the manufacturer. Refill any used alcoholic beverage container. Yes. You can serve but not hold a license.